70th Birthday DVD for 1949. 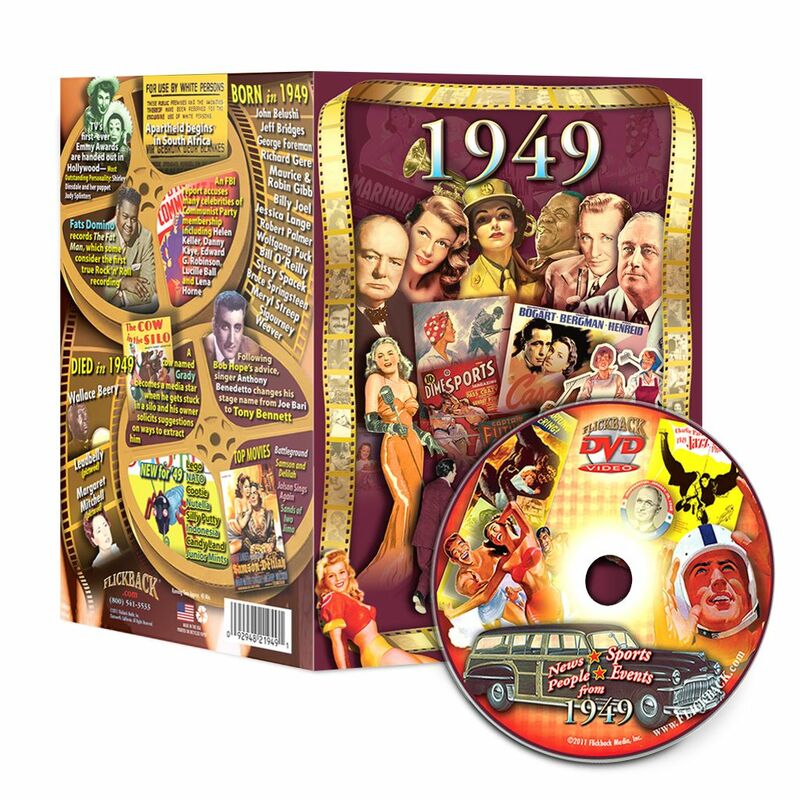 This 70th birthday gift is a wonderful 30 minute DVD celebrating 1949 and has newsreel highlights, top songs, movies and other facts in a fun format. Consider using it as entertainment at the party, or for the nostalgia buff that likes to watch what was happening in a video format.